Pat and Mary Lennon from Glasson Athlone winning champion horse of the show. 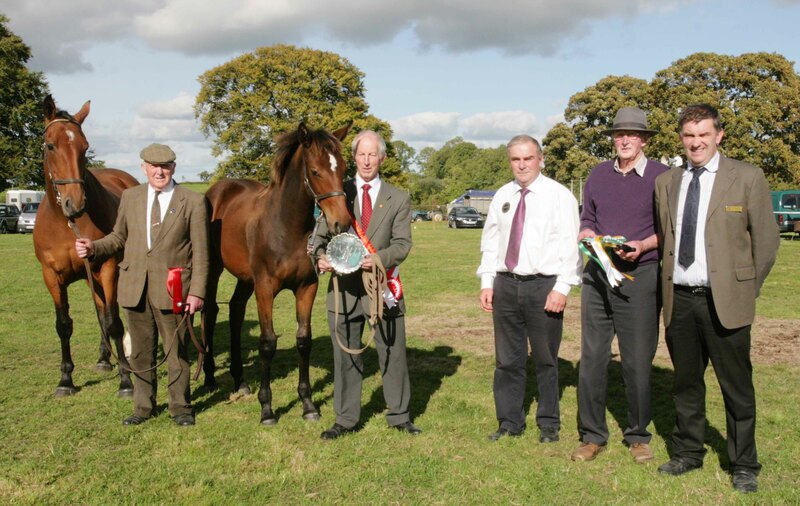 This Saturday sees the 110th anniversary of the Mountbellew Agricultural Show, which includes the All Ireland Championship for the Traditional Irish Sport Horse Foal. Building on the success of last year, the show will feature, this year’s show will take place on Saturday, September 6, in Mountbellew Co. Galway. Classes and activities for all the family including free children s entertainment, while there will be five showing rings of horses and ponies and the Irish Pony Society as well as cattle. The kids’ sone includes free children’s entertainment, with puppet shows, bouncy castles and sand play areas. One of the main features of the day is the Osmonds EcoFleece All Ireland Pair of Galway Ewe Lambs final, which takes place during the day at the Show. Sponsored by Osmonds, entry is confined to a pair of Ewe Lambs, which will be judged as a pair. All classes are open to pedigree and non-pedigree flocks. The Show is also home to the Traditional Irish Sport Horse Foal All Ireland Championships. This is part of the Horse Sport Ireland National Showing Championship series. This category has an overall prize fund of €2,000. Sponsors of the class are Mountbellew Agricultural Show Society, Malthouse Bar & Restaurant, Briggs Fashions, St. Ann’s B & B and Restaurant and Ganly’s of Mountbellew.